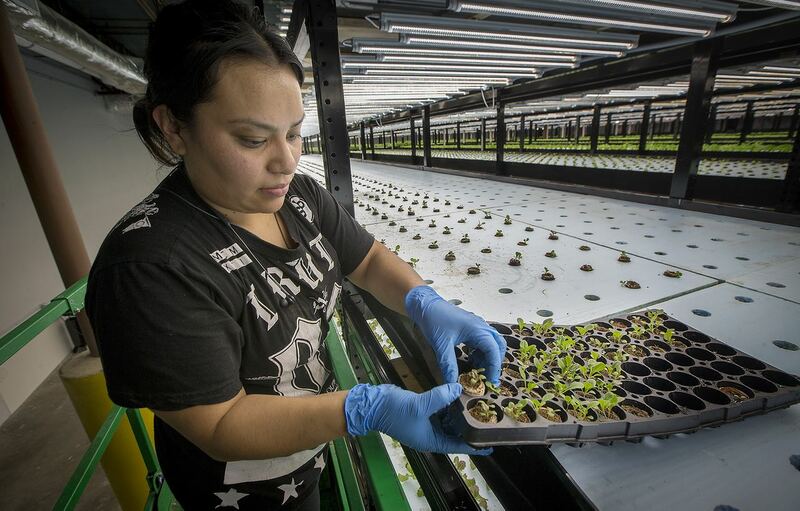 Urban Organics just opened a new 87,000-square-foot indoor aquaponics farm in St. Paul, Minn. As one of the largest commercial aquaponics facilities in the world, the urban farm has the capacity to grow 275,000 pounds of fish and 475,000 pounds of organic produce annually. This is 50 times larger than the pilot plant at Hamm's Brewery built in 2014. A virtual tour of the pilot facility is shown below. Currently, the farm is at 30 percent capacity for produce, and they project being at full capacity by fall. The pilot plant raises striped bass and tilapia and grows basil, kale, watercress and Swiss chard. 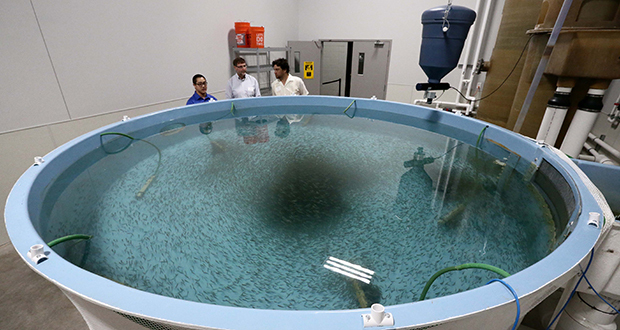 The new facility will raise 275,00 pounds of Atlantic salmon and arctic char fish each year and about 475,000 pounds of organic greens including kale, bok choy and arugula once they hit full stride.